TANCET 2018 (तमिलनाडु कॉमन एंट्रेंस टेस्ट): The Anna University on behalf of Government of Tamil Nadu conducts Tamil Nadu Common Entrance Test for the admissions in ME, M.Tech, M.Plan, M.Arch, MCA & MBA courses. The admissions to government and private colleges are provided on the basis of this exam. The interested students can apply for the TANCET Application Form. It is compulsory for the students to submit the form before due dates. The authorities haven’t announced any notification regarding the TANCET Exam Date 2018 yet. 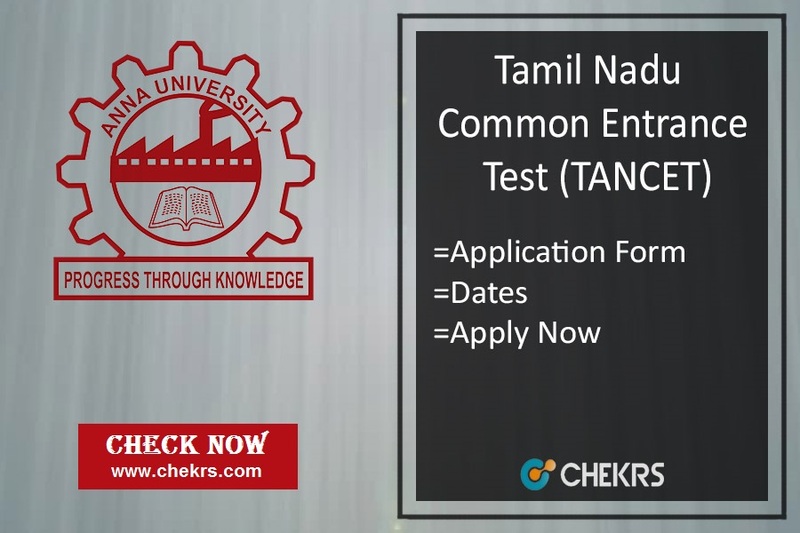 The students seeking admissions in postgraduate courses in the state of Tamil Nadu cna submit the TANCET Registration 2018 before the deadline of the form. The application dates will be announced soon. It is expected that the form will release in the month of May 2018. The aspirants have to follow some precise procedure for the submission of the TANCET Online Application. They have to access the official website for that or they can click on the link we have provided for the application. Steps to submit TANCET Application 2018. Then they have to click on the “TANCET Apply Online” link present on the homepage. Now enter your all valid details like name, father’s name etc. correctly and carefully. Pay the required application fee via credit card, debit card or any online banking modes. Also, take a print of the generated form for future reference. For Additional programme: Rs. 500 for General and Rs. 250 for SC/ ST/ SCA for each programme. The aspirants who are going to apply for the application form are advised to check the TANCET Eligibility Criteria 2018 first. Only eligible candidates cna apply for the online form. 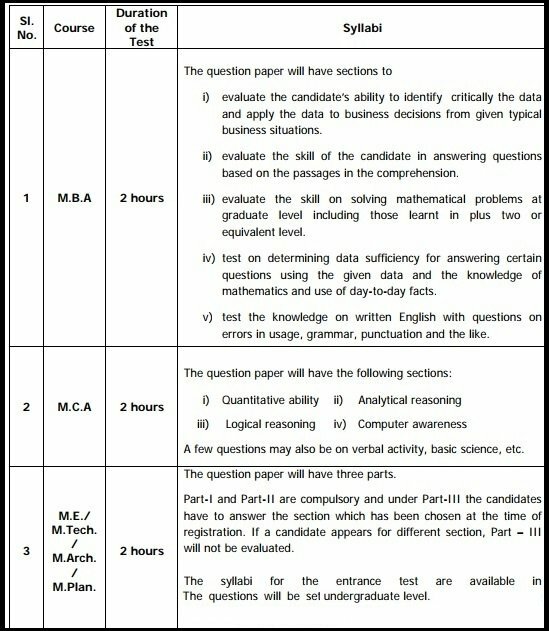 Aspirants must have Passed Bachelor’s degree in B.Sc (Computer Science/Information Technology), BCA with mathematics at 10+2 or graduation level. Scored Minimum 50% marks (45% marks in case of SC/ST). Aspirants must have Passed Bachelor’s degree of minimum 3 years. Aspirants must have Passed Bachelors degree of minimum 3 years with mathematics at 10+2 or graduation level. Aspirants must have Passed Bachelor’s degree or equivalent in any discipline. The aspirants will be required TANCET Syllabus Pdf for their preparations. They can check the detailed syllabus according to the course mentioned below in the article.